The Ice Cream Sandwich is the latest Android OS that everyone is awaiting to get on their handset and have hands on in daily life usage. Galaxy Nexus has enjoyed this privilege till now to be the only smartphone with Ice Cream Sandwich by default. Few days back Ainol Novo 7 tablet flash the news as the first Android tablet with Android 4.0 and it turned out to be a real good tablet at its price of $ 100. Though Ainol Novo 7 Basic and its edition are not with high quality specifications they are news for the price tag of affordability and they are worth for the price that you are paying. 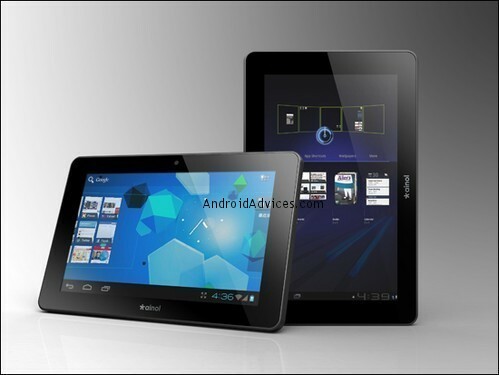 The Ainol Novo 7 tablet has been hit with the Android 4.0 Ice Cream Sandwich overlay. 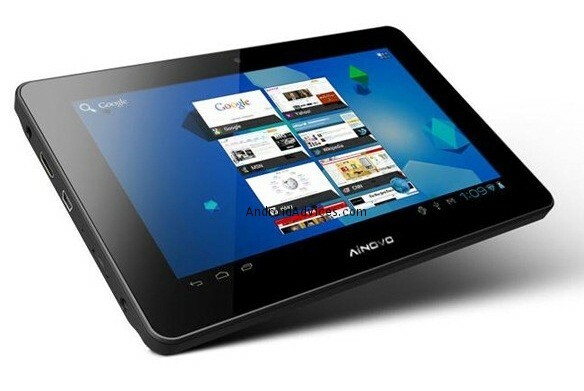 Ainol has now released a newer version of Android tablet called the Novo 7 ELF. Check the existing Novo7 tablet and their specifications. The newer version of Novo 7 comes with Android Ice Cream Sandwich overlay and it has 7 inches display screen with a maximum resolution of 1024 x 600 pixels capable of supporting HD display resolution and features multi touch input. It adds 1 GB of DDR3 RAM and it comes with 8 GB internal storage capacity. If you find 8 GB less for you then you can go with addition of an external memory card using the micro SD card you can expand it up to 32 GB in size. The all new Ainol NOVO 7 ELF tablet is loaded with full support of Flash player 10.3 and it gets the Android Market access to download various Android apps, games and widgets directly on to the tablet. Yes, you can view YouTube videos as it comes with free Google Services like Gmail, YouTube, Google Search, Google Maps and Google Talk. It supports the mp3 playback of MP3/WMA/WAV/APE/AAC/FLAC/OGG formats and video playback of AVI/MOV/MP4/RMVB/FLV/MKV video formats along with TXT, PDF, HTML, RTF, FB2 ebook reading format supported. This tablet comes with 3G but it’s not inbuilt, you have to use external 3G dongle and it includes 3.5 mm headphone jack. That’s not all you can get internet on this tablet via included Wi-Fi 802.11 b/g/n reception. There is serious improvement in battery segment as this one comes with 4,000 mAh battery with 300 hours of standby time and 6 hours of video playback time. This tablet comes in various languages like English, Spanish, French, German, Italian, Arabic, Czech and Chinese. The product weights around 360 grams and it also includes 1 mini USB port. This tablet will be priced at $ 129 and at that price its has quoted a very affordable price. As of now there is no seller of this tablet online and we will update you once this product is available for sale. Also if you are eagerly intending to buy this one then reply in comment why you want to have this tablet. do it support a phone facility?. Hi Amit, can you please suggest how to install the market APK. I was going through some websites and someone suggested that you need to root it… or install custom ROM. Why is installing Market such a big deal? Test samples of the Elf have no android market access, and there are at least 3 online sellers that have the tablet at $149. If you have wifi support, you can still install the Market APK file and get the market on the device right. This tablet doesn’t have market app. installed on it. You’re saying that we can install market APK file. Where can I download market apk file? You can find on web. Search for example ‘Google Maps APK’ and you will find results.